18,000 cakes were stolen from a landfill site in the town of Kragujevac in central Serbia ahead of the New Year’s holiday and resold on the black market, authorities say. The cakes were taken to be destroyed at the dump after the refrigerator storing them broke down. They were instead stolen on December 24, local media reported. City Mayor Radomir Nikolic accused “an organized group” of stealing the cakes. There have been no reports of illness, but investigations are underway. Several employees at the landfill site are reported to have been suspended. The cakes emerged “in suspicious places and at suspicious prices,” said the mayor, quoted by the B92 website. 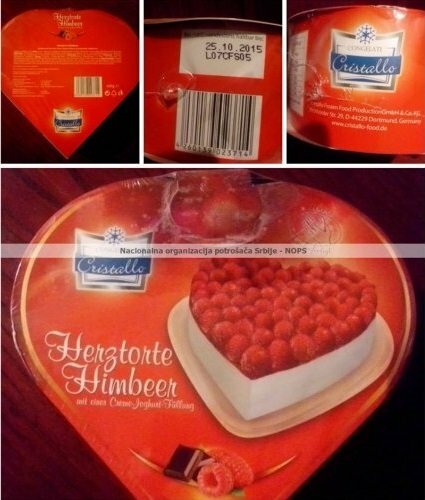 A Serbian consumer group has posted a picture of the cakes to warn consumers against buying them.